In most organizations, Human Resources (HR) means mountains of employee file paperwork and approval/exception processing for task like employee on-boarding, employee raises and employee reviews. Even the simple task of storing employee documents can be cumbersome and time consuming. 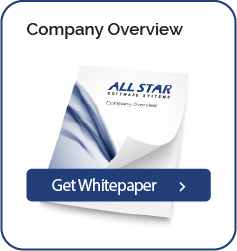 All Star’s Human Resources (HR) solution brings control, security, and visibility into these critical processes. A company’s employees are its most important asset and managing this asset efficiently is critical, particularly with the number of documents required for hiring, maintaining and dismissing employees. The All Star HR solution enables managers to view an electronic folder of all the documents pertaining to an individual employee throughout that employee’s tenure with the organization. Business rules utilizing defined roles ensure that only personnel with the proper authority can access certain documents. Upon separation, the folder can become unalterable and initiate the appropriate retention period per document type. Records management policies with both automatic and user initiated deletion can be setup so organizations can be sure they are only retaining records for the appropriate period of time. The All Star HR solution also lets the HR department post company policies and other employee communications electronically and monitors when/if such information has been accessed and reviewed by each employee. This critical capability ensures compliance with company and government regulations. Enabling all employees to access company information, such as benefit package descriptions and holiday schedules, and track personal requests, such as vacation or personal day preferences, greatly increases the productivity of all company employees. Automating the review and approval processes for items like; employee on-boarding and off-boarding, employee annual reviews, employee pay raises, employee promotions, vacation requests and employee form submissions. Safeguarding important HR documents by digitizing them and storing them in a central repository. Applying special security features to sensitive employee documents and government regulated forms. Enabling employees to access selected personal records to perform routine updating and maintenance of name, address, vacation dates, tax status, etc. Other documents in the personnel file cannot be accessed by the employee. Ability to create new hire onboarding “lists” of required documents – create list showing which critical hire package documents have not been filed.